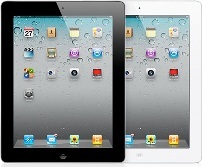 Do you password protect your iPad2? Well, if you have protected your iPad (ie put a security code on it), there is a security flaw out there you need to be aware of. Someone can get into your iPad with a simple magnet. Hold down the power button of the locked iPad2 until the “Slide to power off” button shows up. If a cover is on the iPad2, slide the bar across just a bit and let go. Voila! You are in!. Just like this YouTube Video shows. The temporary fix is to turn off the Smart cover unlocking feature in iPad. Your case for iPad will only put the screen to inactive. It’s a small inconvenience for iPad2 owners, but once again, if you have private data on the device, then this will circumvent the security flaw. Expect a fix from Apple pretty quick. I Quit. Here is My Resignation. Galaga Now on Roku2. My Retro Button Be Pushed!